A cute custom bikini bottom swimsuit is great for fun in the sun and sand on the beach during your honeymoon vacation after the wedding. Then afterwards wear it at pool parties just to brag a little more! 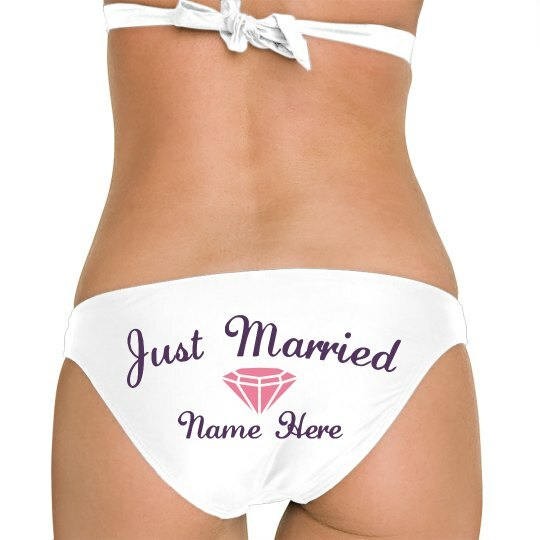 Customize this swimsuit bottom by putting your name under the diamond!